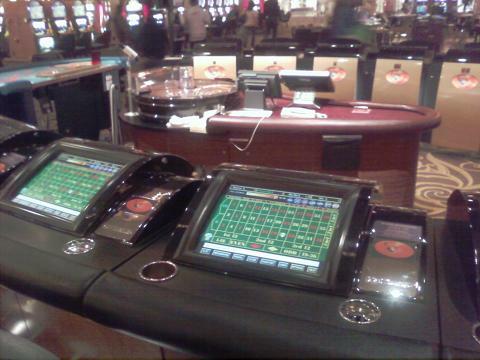 Rapid Craps Newest game in Las Vegas came from the idea that was first thought up for roulette. 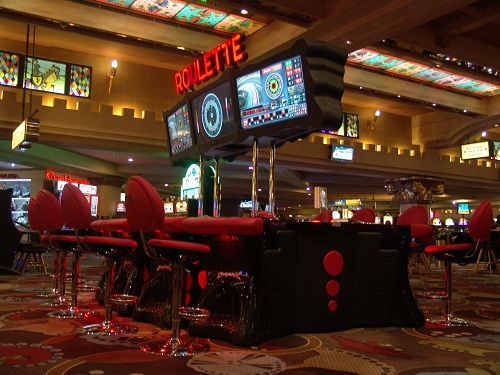 Rapid Roulette has been around for years now so most people have heard of it or even played it but its doubtful many have played or even heard of rapid craps. It is played exactly like craps that you have played before. There is a roller that rolls actual dice but instead of a dealer marking the number and paying or taking money a monitor in front of you does all that. All the money transactions take place on the monitor in front of you. And the bonus, YOU CAN SIT!! Its so new the dealers really don't have a clue how to help you play and there are some glitches in the system but nothing major. 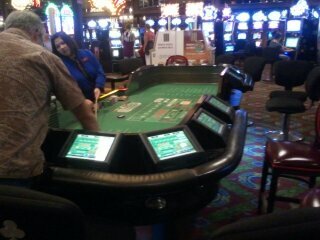 Its a very fun game much like regular craps but I think its going to be better for the casino than the player. Most likely the reason They put so much effort bringing this new game to the Casinos is to speed up the game therefor increasing profits. You will find yourself betting more money when playing rapid craps than when playing regular craps. The reason being is no one can see what you are betting so there is no shame in your losing and its human nature to double up on the next bet to try to get your money back something you are not as likely to do in front of everyone at the craps table. This puts the money management to a real test. Its similar to playing blackjack with live cards then playing video blackjack, studies have shown you will bet more as you are losing on the video version. Try this game, right now it is only offered in Las Vegas at Bill's Gambling Hall but once it is proven I am sure all the other Harrah's properties will have it. 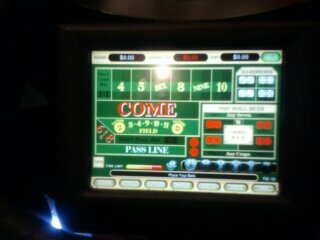 Have fun playing this game but be smart with your bets, try to bet the way you would if you were playing regular craps. This monitor is above the table for players to see and onlookers as well. 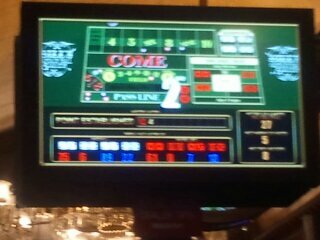 The new Craps game shown above is the most popular game in Las Vegas right now. 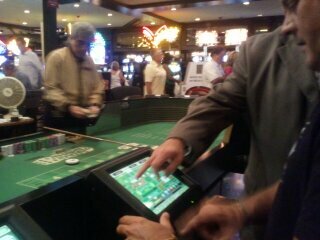 The Rapid Craps game is still in use at Bill's Gamblin Hall. 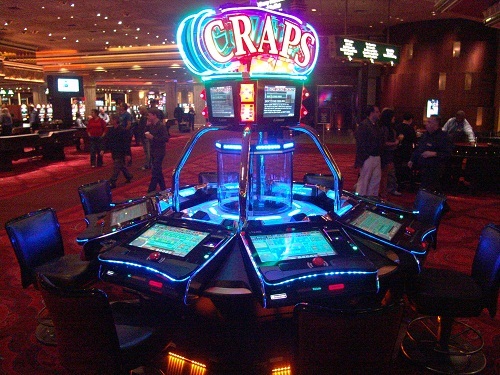 I have not found rapid craps in any other casino and I keep thinking Bill's will get rid of it in favor of the new craps game.